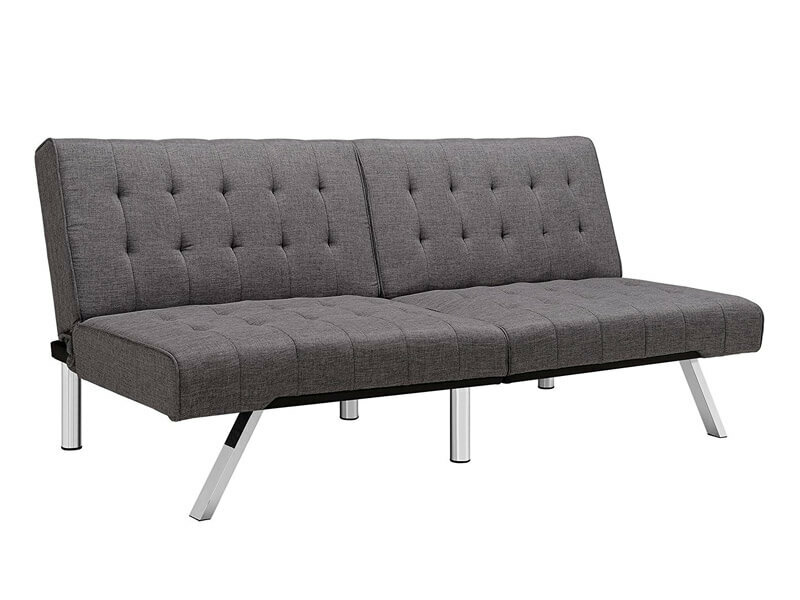 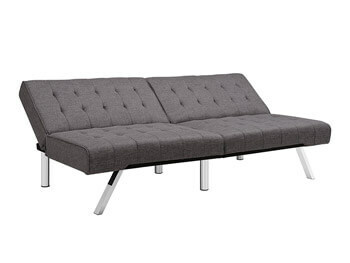 Sleek and stylish with its rounded edges, tufting and chrome legs. 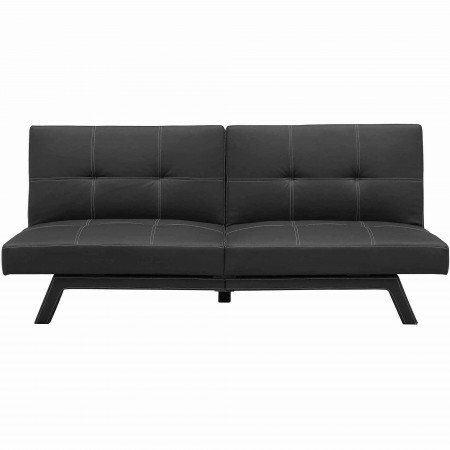 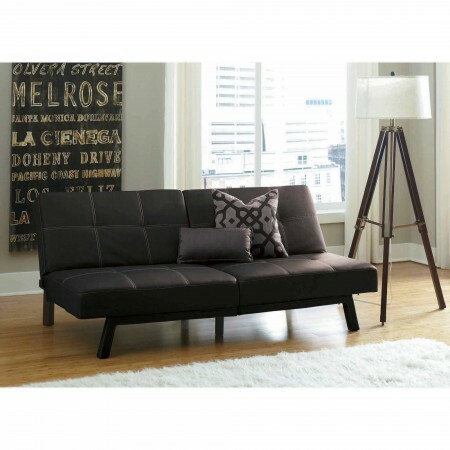 The Jet Sofa has a modern look that is fitting for most rooms. 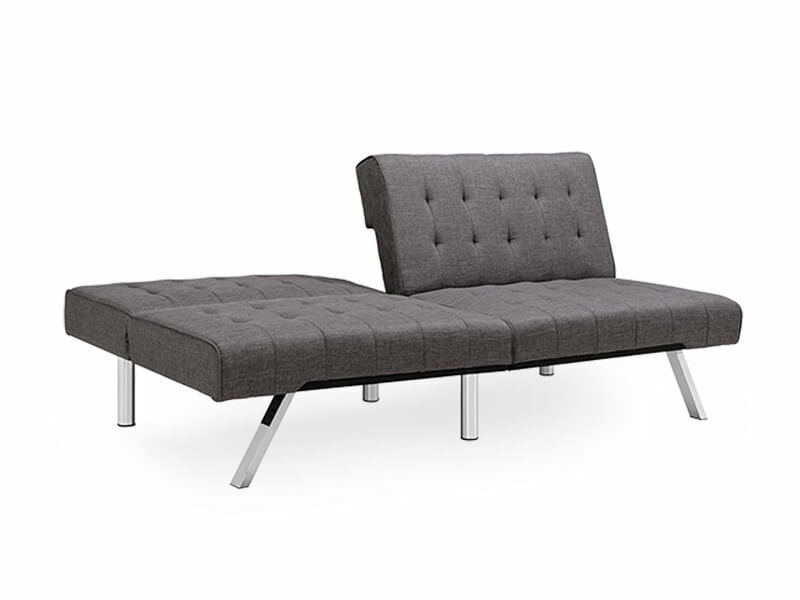 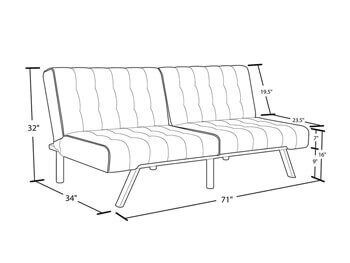 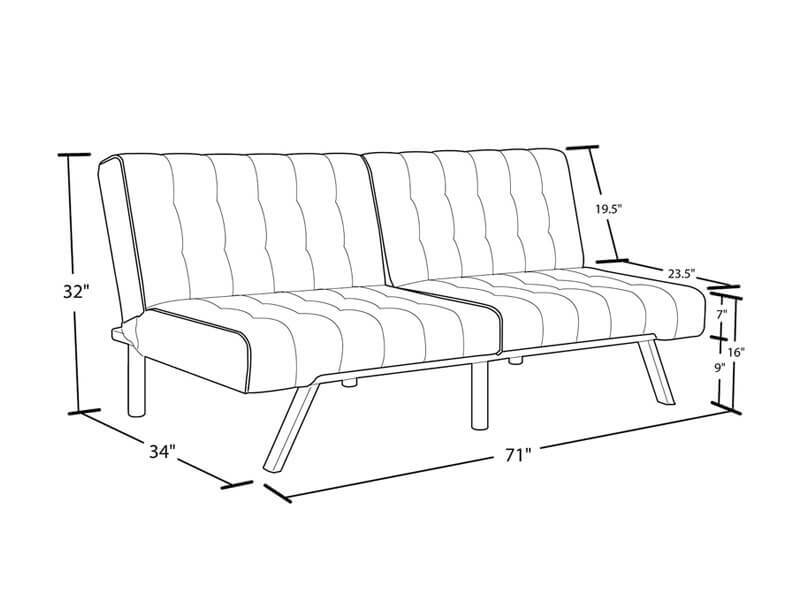 The sofa easily adjusts from sitting, to lounging to sleeping positions and features a split back for added versatility. 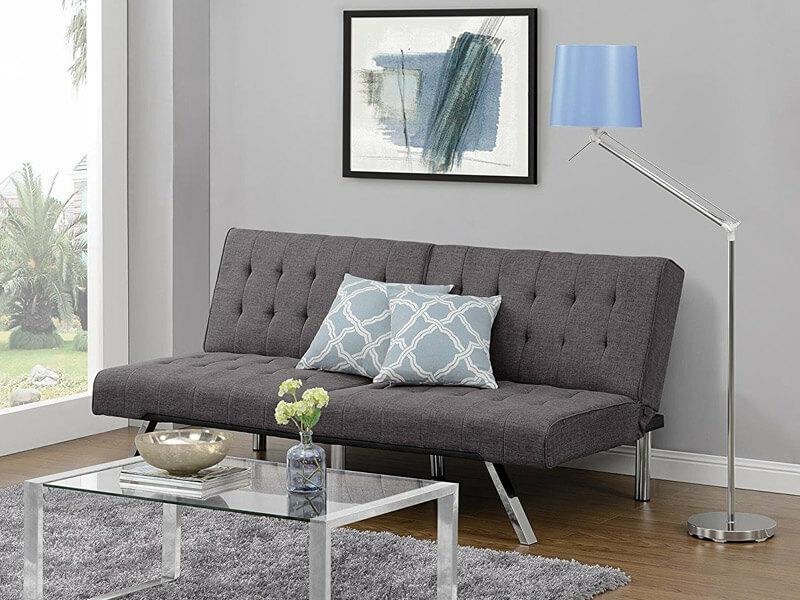 Upholstered in eye catching grey linen, the cushions are full and stay firm even after daily use, and the polyester and foam filling provides ample comfort. The versatility, modern appeal and sleek design make it perfect for any home or office space.